The British Marine Conservation Society has issued a statement today urging the public to back the banning of all balloon releases. The British charity, the Marine Conservation Society (MCS), works to protect the UK's seas, shores and wildlife. Through education, community involvement and collaboration, the MCS actively campaigns for cleaner seas and beaches, sustainable fisheries, and protection of marine life. In their statement the MCS reports that balloon litter on UK beaches has risen by over 50% between 2015 and 2016. Earlier this month 'Feisty', - a three-year-old thoroughbred horse - died as a direct result of a helium party balloon landing in her field. Jennifer Birtwhistle - the owner of 'Espoiro' known as 'Feisty' - is a leading horse breader. Birtwhistle stated that balloon releases are a dangerous fad causing real damage. "This wasn't an act of God, she wasn't standing there and was suddenly struck by lightning. 'Feisty' was in her field next to our home with her mother, and she should have been safe from harm. But this pink helium balloon dropped into the field and the thick string lay there in the grass and she swallowed it and began choking. She bolted across the field in a panic with the string down her throat. The rest of it wrapped itself around her neck and the balloon itself was over her face. She ran straight through a gate and broke two of her legs. Her power and panic took her across a lane and straight through another gate, breaking her neck." We also highlighted the issue of balloon releases on the 9 January 2017 following a Liverpool DJ's decision to conduct a balloon release on 22 December 2016. At the time the MCS and the scuba diving community lobbied Radio City 2 to cancel the balloon release that had been organised "in memory of loved ones that we miss at Christmas time." The pleas were ignored and the balloon release went ahead at the end of the programme 'Remember A Loved One At Christmas'. There seems to be little understanding about the terrible consequences of balloon litter. Balloons, strings, lanterns and frames can have long-lasting effects both as choking and entanglement hazards on land and sea. Jeremy Clarkson a columnist for the Sun newspaper wrote on 18th March 2017 "And now the party poopers tell us that if you release the balloons into the heavens, you will definitely kill a horse...And when your son or daughter asks why their party is so dull, and held in a church, with a lot of prayers, and some uncooked organic vegetables, you can tell them it was because of an old lady’s horse. And a turtle. Today's statement from the MCS confirms that during last September's 'Great British Beach Clean' event, volunteer beach cleaners found an astonishing rise in the amount of balloon related litter on UK beaches – a 53.5% increase on 2015. The charity says it’s taking its 'Don't Let Go' campaign to a local level to persuade more councils to ban the release of both balloons and sky lanterns on their land. 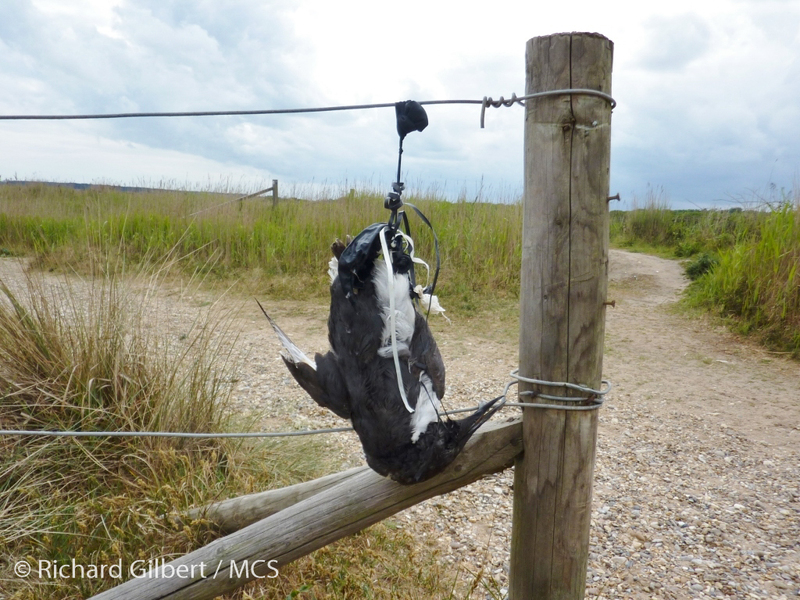 Currently over 50 UK local authorities have agreed to implement a ban on balloon and lantern releases on their land. The authorities includes Durham City, Cornwall County, Worcestershire, Oxford city and Northumberland in England, Cardiff, Gwynedd and Monmouthshire in Wales and Aberdeen city, Angus, Shetland and Perth and Kinross in Scotland. Now the MCS has stated that it wants to see all intentional balloon releases stopped. Emma Cunningham, the MCS' Pollution Campaigns Officer stated “there’s an awful lot of confusion over balloons, especially what they’re made of and how they break down. Some people believe that because latex is natural, balloons made of it are harmless once let go. This just isn’t the case. Latex may last for up to four years in the marine environment. The Marine Conservation Society is urging people to sign up to their online pledge page to help the charity create an interactive map to show support for bans around the UK. 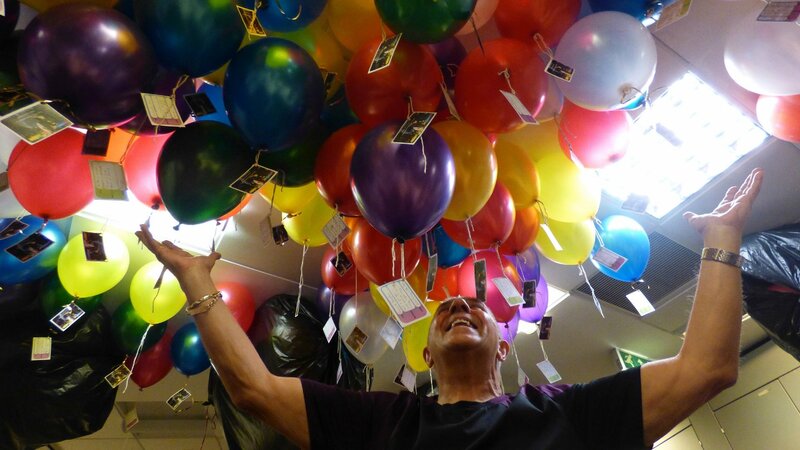 Balloons are made of either latex (rubber) or foil (also known as mylar). Latex balloons, whilst biodegradable, may still persist in the marine environment for up to four years. There are already bans on balloon releases in place in New South Wales and Queensland in Australia and Florida, Virginia, Connecticut, Tennessee, Texas and California in the US. Helium is running out...even more reason to conserve what stocks we have left and not waste it on a few seconds of enjoyment. The metal sky lantern frame is dangerous to wildlife and poses an entanglement threat. In 2010 it was reported that a Cheshire farmer lost one of his pedigree cattle worth £1,000 after it died from eating the wire frame from a lantern. Lanterns also pose a fire hazard to crops in summer months and in 2013 £6m of damage was caused at a recycling plant in Smethwick, Birmingham after a lantern landed and sparked a blaze. It’s illegal to launch a sky lantern in most parts of Germany, Malta, Vietnam and most recently Spain, and in Austria it’s illegal to produce, sell, import, or to distribute them. A permanent ban on sky lanterns that “rely on an open flame to heat the air inside the lantern” was introduced in Australia on 1 February 2011.